W rolach głównych: Tattered Angels Glimmer Mists i Glimmer Glam (pomarańcze, róże, czernie). Dusty Attic Chipboards, maski, medium żelowe, oraz nieco domowego żelastwa. Miłego oglądania! 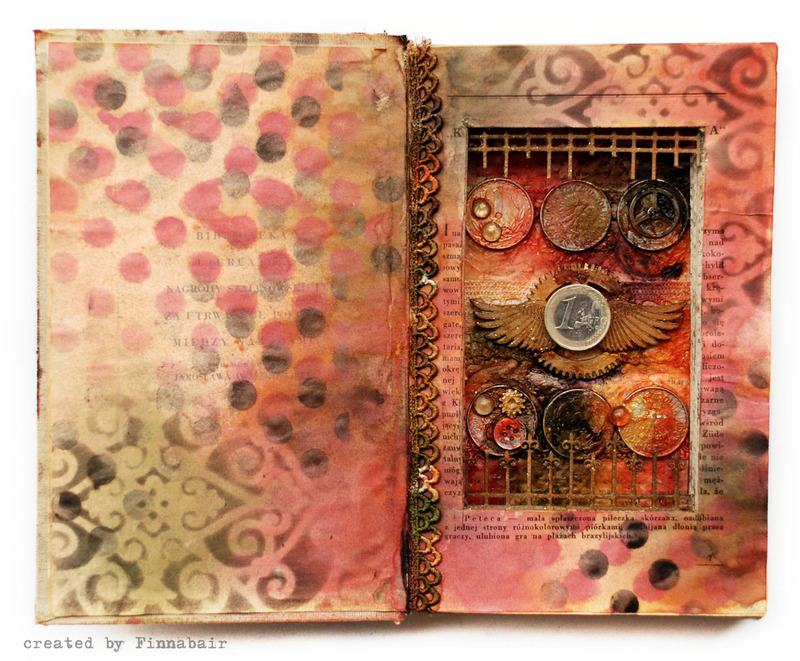 Starring: Tattered Angels Glimmer Mists and Glimmer Glam(shades of orange, pink, black), Dusty Attic Chipboards, masks, gel medium and a bit of found object I had in my collection. Thanks for looking! gorgeous work! very beautiful colors and everything just great! Such beautiful work!!! I am sure she loved it! Incredible. What a blessed friend! Your book is amazing! You do inspiring works!